Properties in Tauranga average 4.6 out of 5 stars. Property 5: Sparkling new modern flat. Property 6: Relaxing garden, Rural and Bay views. Property 7: Cosy, private and central location! 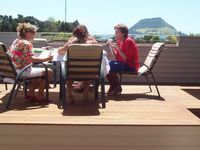 Property 11: Apartment in the heart of Tauranga. Property 17: Edgewater Villa. 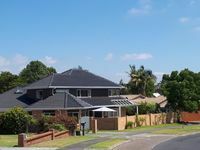 A tropical Homestay BnB in Tauranga. Property 26: A beautifully restful home, with waters views. Retro-Chic Tauranga Villa - City! Harbour! Beach! Property 39: Retro-Chic Tauranga Villa - City! Harbour! Beach! Property 40: Large, modern house in a quiet cul der sac. Property 46: Location, location, location! Best accommodation, 4 minutes to DowntownTauranga. We enjoyed our stay here. Very handy having countdown so close. The beds were comfortable. Great views. A lovely relaxing place. Thanks for having us.